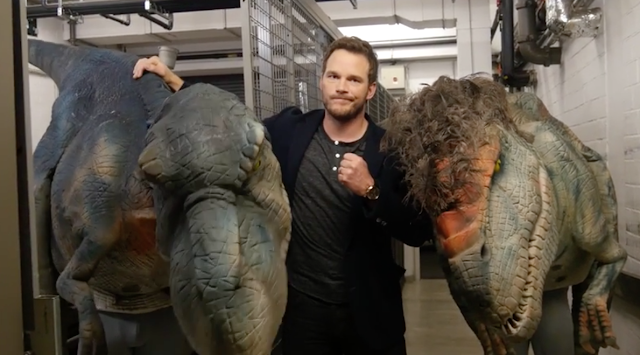 He may be currently taming velociraptors and fighting an I-Rex on the big screen, but Chris Pratt is just like the rest of us, jumping a mile when surprised by a guy in dinosaur suit. Masterminded by internet pranksters Sa Werdega, the below video is worth it for Pratt’s reaction alone. Check it out! !